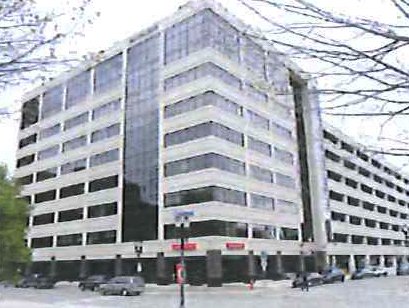 LANSING – State senators will move their offices next year from the aging, state-owned Farnum Building to a more luxurioun, relatively new office tower owned by the Boji family – a generous contributor to Republican candidates and political committees. The Senate approved the sale of the Farnum building last year, but the Michigan Strategic Fund acted this week to issue $70 million in tax-exempt bonds to purchase and renovate seven of the nine floors of the Capitol View building, which was built in 2005, and lease the space back to the state Senate for offices. The move will displace a couple hundred state Department of Community Health employees from the Capitol View. The Farnum building would be sold. Kurt Weiss, spokesman for the state budget office said there have been no decisions made on whether or where the DCH employees would move. Senate Majority Leader Randy Richardville, R-Monroe, has wanted out of the Farnum building for a couple of years now, citing unreliable heating and airconditioning, outdated technology and the presence of asbestos in the building. The Senate has pegged the cost of renovating the Farnum at $24 million. But the state Department of Management, Technology and Budget has estimated it would havs cost about $11.4 million to renovate the Farnum. They will sell the building “as is,” without major renovations, said Kurt Weiss, spokesman for the state budget office. A panel of five people, including Secretary of the Senate Carol Viventi, two purchasing officers, a fiscal analyst and a staffer from the physical properties department, reviewed four options for Senate offices: the Capitol View; renovating the Farnum; new construction near the Hall of Justice, which is three blocks from the Capitol; or a purchase and renovation of the Lansing City Hall. They found the Capitol View was the most cost effective and it’s proximity right across Allegan Street from the Capitol was the best choice, said Viventi. They made the recommendation to Richardville, who chose the Capitol View option. Decocrats opposed the sale of the Farnum, saying at the time their current office space was fine. They haven’t changed their view. “We’re talking about spending tens of millions to move from one block to another,” said Robert McCann, spokesman for Senate Minority Leader Gretchen Whitmer, D-East Lansing. “The Farnum is certainly not the nicest building in town, but it serves its function. This is the exact type of stuff that makes people angry with their state government.” The Boji family, which owns multiple properties in Lansing and metro Detroit, also owns the Boji Tower, across Capitol Street from the Capitol, where the Senate began leasing space for a hearing room and some office space when Rochester Republican Mike Bishop was Senate Majority Leader. The family has been a generous donor over the years, according to campaign finance records, giving $61,000 to the Senate Republican Campaign Committee since 2005, $70,000 to the Michigan Republican Party, $32,700 to Gov. Rick Snyder, $28,000 to the House Republican Campaign Committee, $1,000 to Richardville’s leadership PAC; $27,102 to Bishop and his PAC and five years of free office space to the Decider PAC, which donated $72,000 to the Republican Senate Leadership Campaign this year. The family also has ties to Wayne County Executive Robert Ficano, giving $15,202 to his PAC. The family also has given money to state Democrats, including former Gov. Jennifer Granholm, former state Rep. Andy Dillon of Redford and current state Reps. Woodrow Stanley, of Flint and Rashida Tlaib of Detroit. “There are juct a lot of red flags to this deal,” McCann said. But John Truscott, a spokesman for the Boji family, said there was nothing unusual about the move. “It was a very open and transparent bid process. Pretty much anybody who could have qualified as a bidder was sent a letter,” he said. “And the Boji group responded to it with what turned out to be the most cost effective proposal.” The Farnum building was purchased by the state in 1978 for $3 million. Kathleen Gray is a reporter for the Detroit free Press.